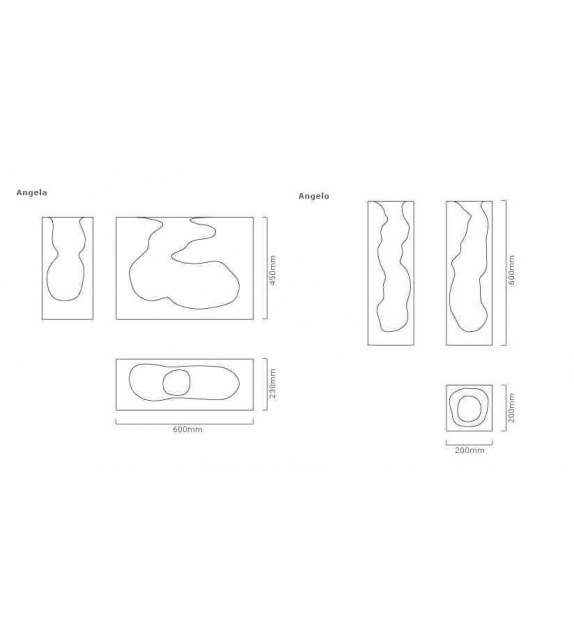 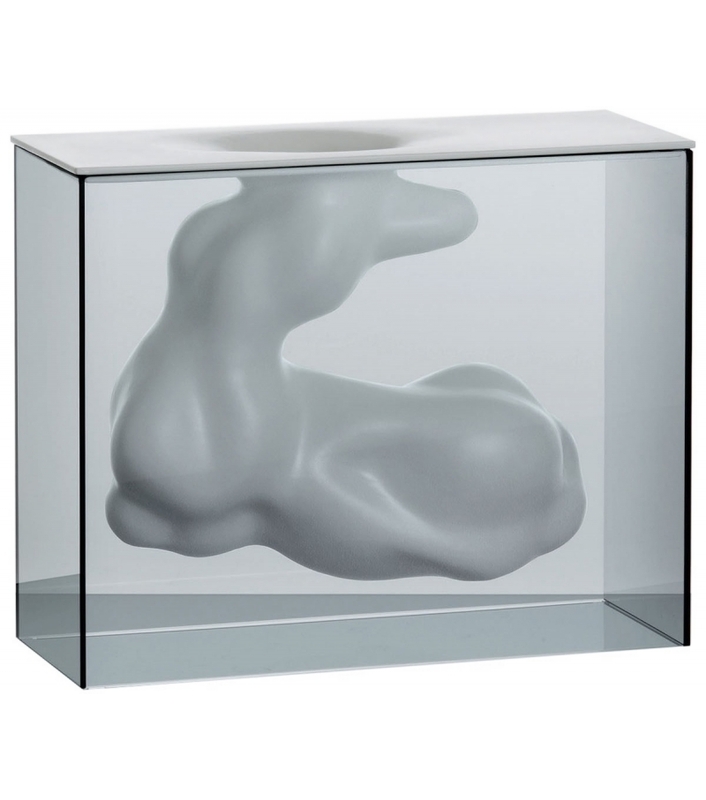 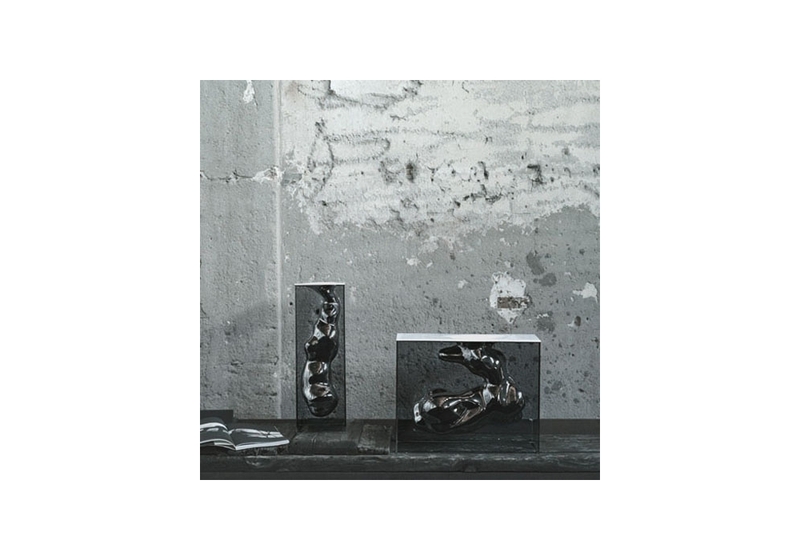 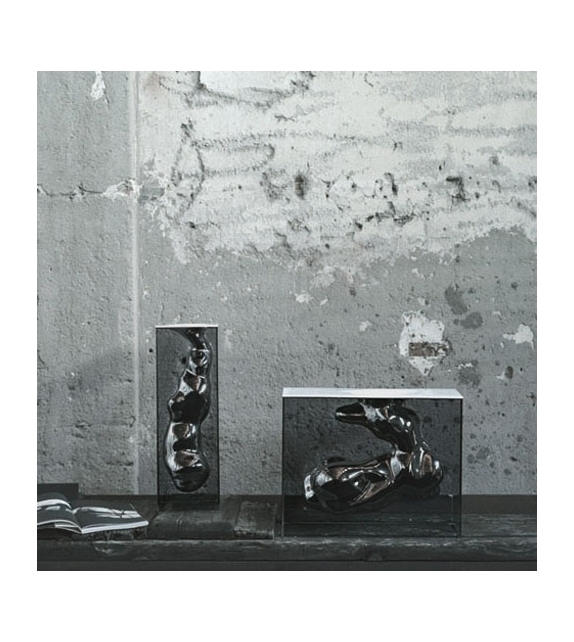 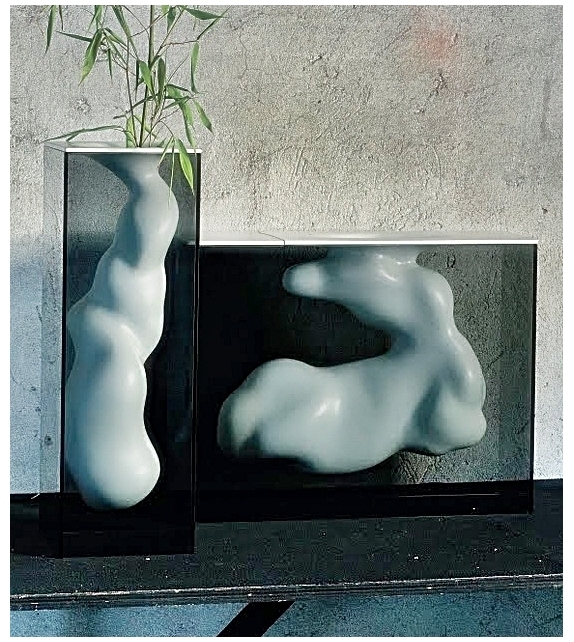 Glas Italia, Angelo e Angela vase: A series of vases composed of a parallelepiped shaped case, realized in smoked glass, glued 45°, and an organic shaped ceramic sculpture, supported and contained in its inside. 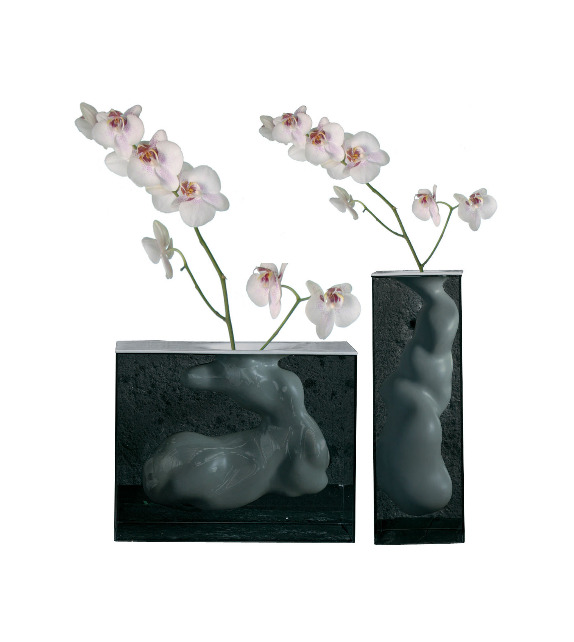 The ceramic element, available in the finishes opaque white or platinum lacquered, is hollow and can contain water. 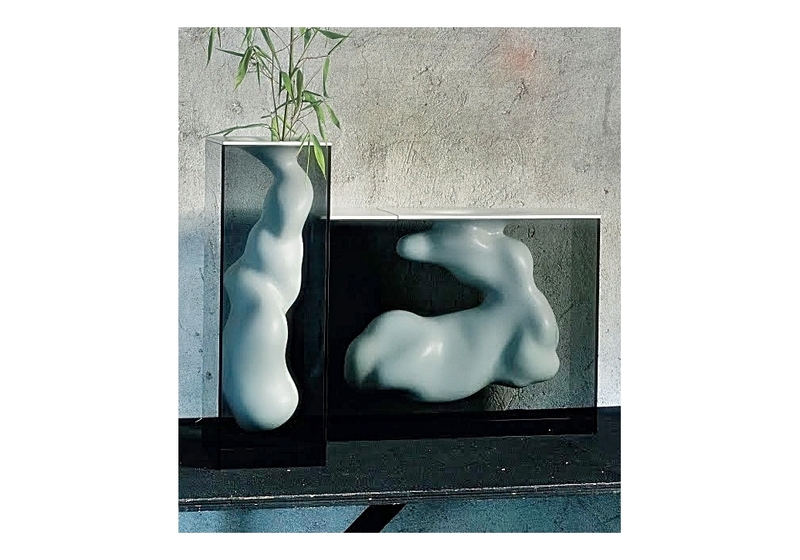 Glas Italia, Angelo e Angela vase: A series of vases composed of a parallelepiped shaped case, realized in smoked glass, glued 45°, and an organic shaped ceramic sculpture, supported and contained in its inside. 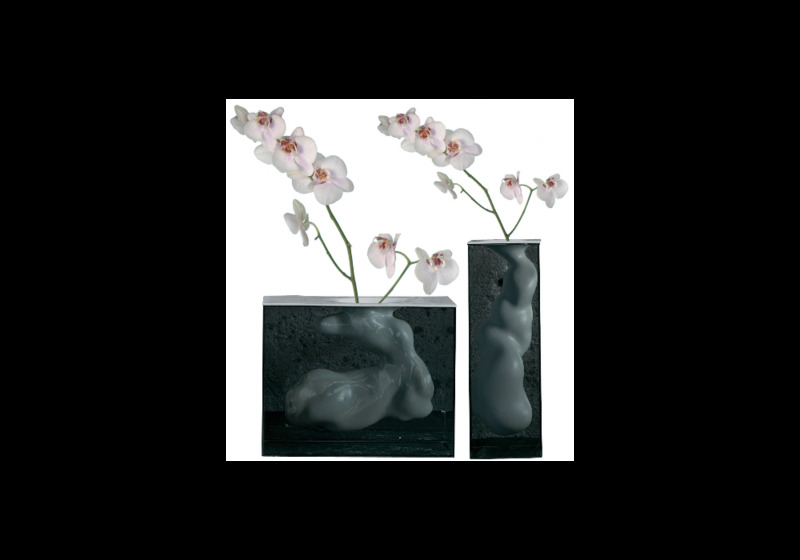 The ceramic element, available in the finishes opaque white or platinum lacquered, is hollow and can contain water. 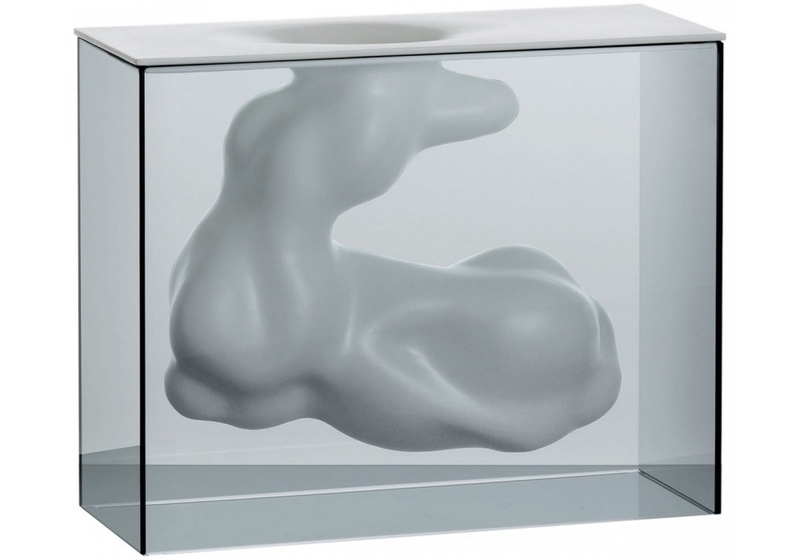 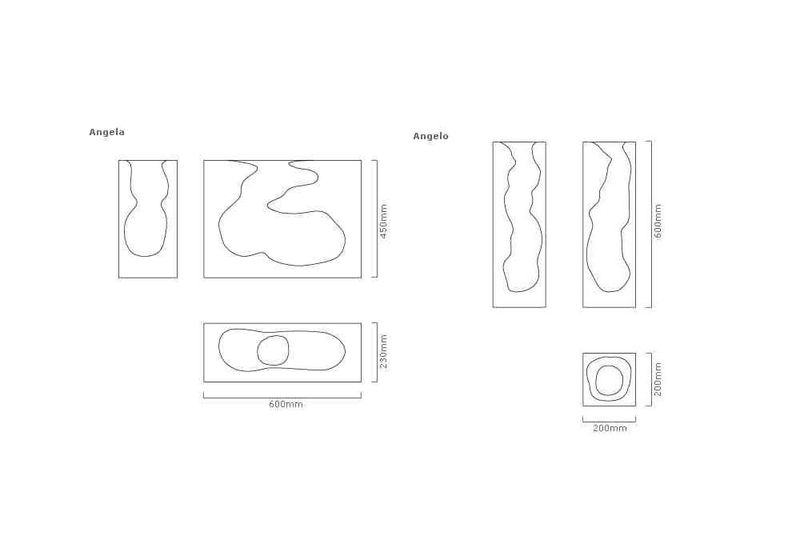 Available in two different shapes and sizes.